There's no nice way to see this: Bernie Madoff is a convicted crook of the first order. He developed the granddaddy of Ponzi schemes and cost Americans billions of dollars. He lost everything. His fortune. His reputation. His family. His freedom. Frontline is going to look deeply into what this man did. The next installment of Frontline's acclaimed documentary work airs at 9 p.m. Tuesday on Panhandle PBS. It's called simply "The Madoff Affair," but it's not about marital infidelity. It's about financial trickery and graft. 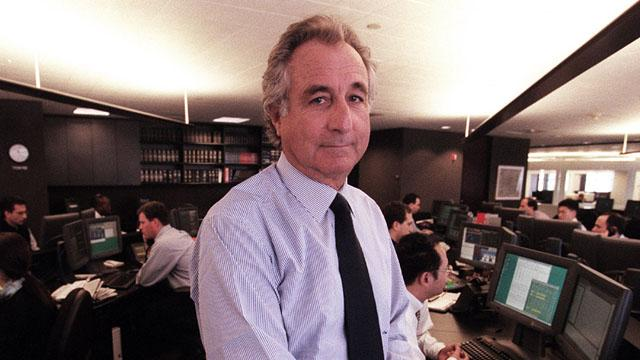 "On Dec. 11, 2008, Bernard L. Madoff confessed that his vaunted investment business was all 'one big lie,' a Ponzi scheme colossal in volume and scope that cost investors $65 billion. Overnight, Madoff became the new poster child for Wall Street gall, greed and corruption." Madoff continued to ride high, skimming money from investors' accounts. Then the bottom fell out. The financial markets collapsed in late 2008, sweeping away people's life savings. Retirement accounts were destroyed. People committed suicide when they watched their savings vaporize. Bernie Madoff? His cover was blown, leading to the confession and the subsequent prison sentence. The lessons brought to public attention by the "Madoff Affair" are invaluable to this day. I suppose the first lesson is always -- always! -- make investment decisions with people you know. Madoff preyed on people's lack of knowledge about investing and by their lack of knowledge of people with whom they were dealing. So ... Frontline will reveal much of a very sordid story. It might make some us angry all over again. Poking fun at a Nazi death camp?